Candidates must successfully complete the IPAF approved theory test paper. In addition to this, they must achieve the required standard when operating each of the machine categories that they wish to add on to their IPAF qualification. 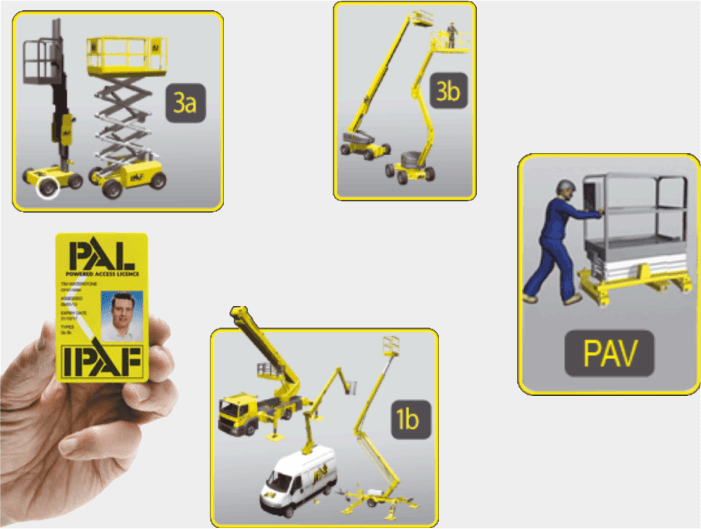 Candidates must hold a valid IPAF operator qualification and be able to produce their IPAF ‘PAL’ card for inspection by our training instructor prior to course commencement.